Umidigi has just launched a new device called UMIDIGI Z2 Pro, which is an upgrade to Umidigi Z2 that was launched few months ago. 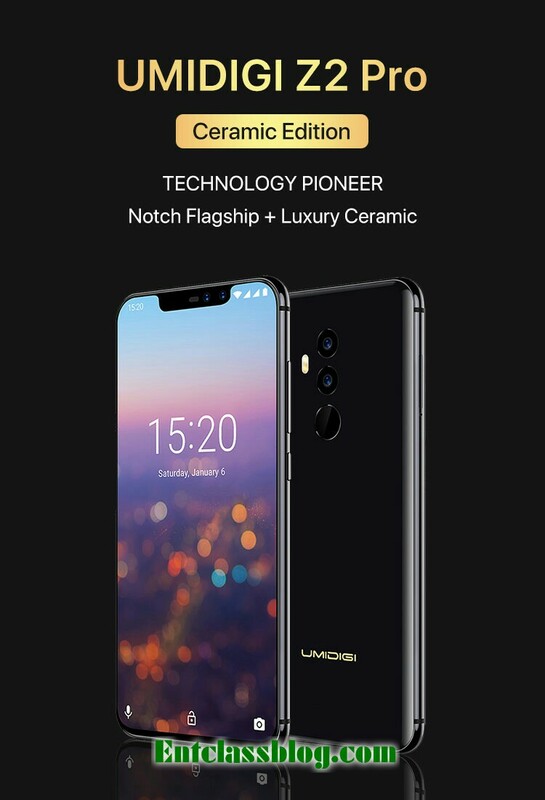 The Umidigi Z2 Pro features a big 6.2-inches notched 19:9 aspect ratio FullView display, 4G LTE enabled, fingerprint sensor mounted at the back as well as Face unlock for device security. The phone came running on pure Android 8.1 Oreo straight from the box, which is powered by Mediatek MTK6763 chipset, coupled with a 6GB of RAM, 128GB internal storage, and a non-removable 3550mAh battery with Qi wireless charging. Price: $299.99 / $359.99 for ceramic version.